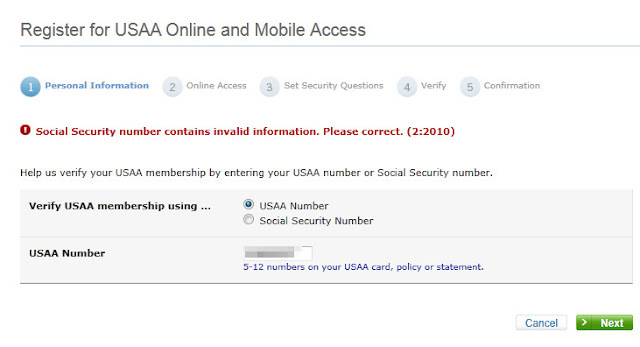 The entered Social Security Number contains invalid information? I didn't enter a Social Security Number. I selected the option for USAA Number and entered that. How am I to correct invalid information I did not enter?